There is a brand that I have put off for far too long--I dabbled in and out of its offerings for years on end, but not until this year have I come to really appreciate it for what it is. That brand is Bobbi Brown. Come wedding, Bobbi Brown items were predominantly used for my final look, as the artist was trained in the way of Bobbi's school of natural beauty. It caused me to make several trips back to the counter, and although I love the makeup, what I really fell for was the skincare. I think it's mostly due in part to the fact that Bobbi is renowned for maintaining youthful skin as one ages, that so many of her products target dry and sensitive skin like mine. Many of her products are built to suit and soothe those with finicky skin, as they include many herbs and essential oils. I placed an order for three of her products, which I have been testing for some time now, and am highly impressed by. I basically wanted anything that included the world "balm", as my sister had raved about how moisturizing they were. They all fall under the "extra" category of her skincare site, and I feel that word is pretty descriptive in terms of what I need to keep my face really and truly hydrated. The Extra Eye Balm is touted only for nighttime, although my skin has no problem absorbing it in the morning. It's a nice base for makeup, and really helps to assist things like concealer to glide on smoothly. The consistency is a bit harder than I expected, but if you warm it up in your hand a bit, it will soften down and become more spreadable. 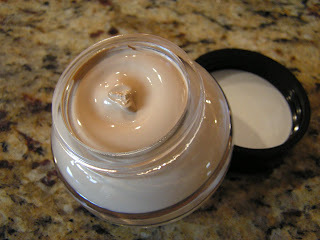 Instead of opting for the Extra Moisturizing Balm with SPF in it, I chose the one without, as it is a thicker formula. It's extremely thick, and another product that you will want to warm up a bit. This one includes ylang ylang and rosemary, which combined gives a very nice and subtle scent. For both of these skincare items, I think they can be a tad heavy during the summer months--which brings about the opposite problem you risk (along with others that have dry skin), in over-moisturizing and clogging pores. Last but not least, I also picked out the Tinted Moisturizing Balm with SPF 25. My shade is a perfect Medium, and by far my favorite of the bunch. Although it is a bit heavy (in terms of moisture only, not at all in coverage), I find it perfect for spot-application in the areas that need a bit of assistance. It can be a bit over the top (in terms of dewiness), if you have a heavy hand with your foundation, but since I prefer to use little to none, this works out perfectly. I've always depended on tinted moisturizers, but I think this one beats them all. 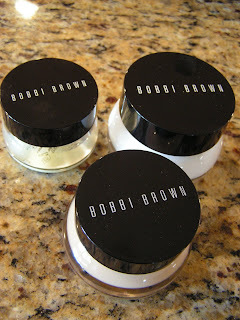 What are your favorite Bobbi Brown products? Any that I must try? I LOVE the balm range.. but i am indeed heavy handed with the tinted one and i always look like a grease ball! Any tips?? Im also medium (well no im not but thats the shade i have and that works with my current tan).. i love the smell tof this stuff!! I can see how BB things would be the perfect wedding make-up they are so soft and blended!! Great haul!! :) And isnt it nice that you got them now.. it softens the project 5 pan blow!! It was soooo perfect for the wedding. A little of that, mixed with a slight amount of Laura Mercier..the girls looked like themselves, but even better! @gabriela: thank you! just began reading yours, and am now subscribed! love the name :) i agree...her basic products are spot-on, and deserve more attention! @tali: okay good..i'm in the clear. the balm wash is enticing if only for the size and color...it reminds me of a decleor product. do you buy beauty things for your friends? @tali: forgot to answer this question...in terms of the heavy handedness...i actually use my finger, and just dab it on to the areas that i feel i need it--i think when i use a brush with this one, i end up using more than i'd like. 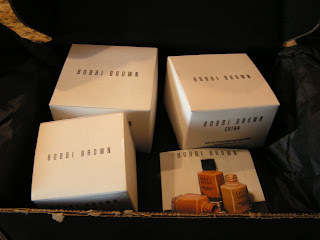 I always overlook Bobbi Brown when makeup shopping. I think I want to try out the tinted moisturizer now though. I need a new one anyway :D.
@tiff: you should! i've only sampled the tinted moisturizer, but the tinted balm is a bit heavier (moisture-wise)...let me know what you think! I wore the tinted balm today (so i was automaticaly thinking about this post) and my dad at the office sniffed me and said.. 'Your face smells.. nice??' He thought i sprayed perfume on my face!! I was trying to explain that the foundation smells but then he got bored and walked away... hehe.. it is like a perfume. @tali: hahaha! it really does have a nice scent, right? almost like a scented moisturizer..but yea, by the time you got that far in explanation i'm sure he was long gone..
do they know all about your beauty habit at work? Seeing as i sit and google all day while they do the filling.. yes.. its safe to say they know! And all my deliveries get sent there so i can get them!